Lagos – The Joint Admissions and Matriculation Board (JAMB) on Friday warned prospective candidates to adhere strictly to the registration procedure for the 2019 UTME to avoid creating issues for themselves. The Board’s Head, Media and Information, Dr Fabian Benjamin gave the warning in an interview in Lagos. Kano State Deputy Governor Professor Hafiz Abubakar monitoring the conduct of the ongoing Joint Admission and Matriculation Examination across the State. 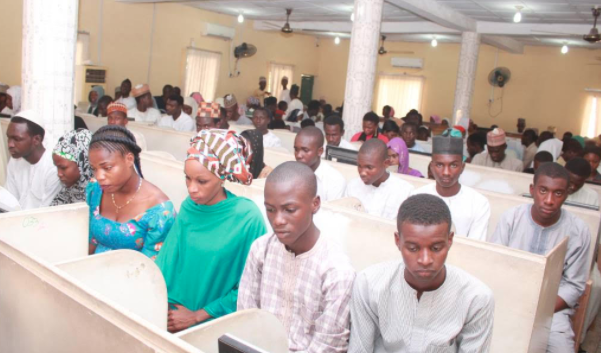 The registration of candidates for the 2019 Unified Tertiary Matriculation Examination (UTME) started nationwide on Thursday in more than 700 accredited Computer Based Test (CBT) centres. According to Benjamin, all candidates desirous of registering for the the examination therefore must ensure that he or she start of by sending their full names, (surname first) to the code provided by the board. In doing this, candidates must ensure that no other person had used that telephone number for that purpose. “For instance, if candidate A used a telephone number to send his name to the code in the past, candidate B, who is a sibling to A cannot use that number for that purpose again. In the case of a missing telephone line, Benjamin suggested that it would be safe to get a fresh telephone number for the purpose and not a ‘welcome back’ to send to the code for the candidate’s profile number.